As we enter a new era of civic discourse—one governed by 140-character-limits, “air quotes,” and alt facts—and as we encounter an administration intent on destroying the National Endowment for the Humanities and the National Endowment for the Arts, it is helpful to reflect on a time that faced similar social and economical struggles (accompanied by rapid technological advances) and met them with a combination of artistic, scientific, and imaginative might. 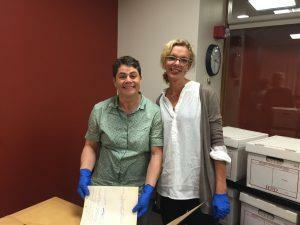 During our research for the creation of the first-ever Finding Aid of the WPR Packard Collection (1933-1966) of early recorded sound, we devoted some of our funds to exploring the Harvard University Archives‘ own remarkable Packard Collection. While the Woodberry Poetry Room’s archive features 2,000 discs and production parts associated with the Harvard Vocarium (one of the first recording labels of its kind) and rare Master recordings of early to mid-century literary, theatrical, radio, and musical performances, the HUA’s Packard Collection features an array of materials from Frederick C. Packard, Jr.’s career as Professor of Public Speaking (in the Department of English) and Director of the Speech Clinic (in conjunction with the Department of Hygiene). And, not infrequently, the collections overlap. Studied together these two collections help to document a compelling period when poetry, technology and public speaking converged and flourished. 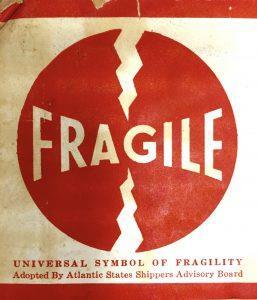 “Fragile” does indeed seem like the appropriate word for the time period in which these materials were made, and the set of circumstances that inspired them. 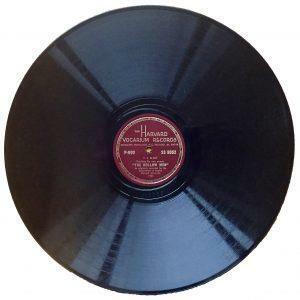 These recordings were created during the Great Depression and WWII, on a shoe-string budget, by a visionary Harvard educator and innovator of that era: Frederick C. Packard, Jr. (1899-1985). Hired by his alma mater in 1925, correspondence suggests that as early as 1928, Packard had begun to “clamor” for the creation of the first-ever “library of voices,” which would stand in equal stature to a library of books. As the Boston Sunday Post put it: “Harvard University, one of the most forward universities in the world, is breaking all precedent by establishing a library for the voice—the Harvard Vocarium” (Box UA III.50.8.121). Packard’s interest in creating a “vocarium” (a term he coined with the help of Latinist E. K. Rand) was at once political and poetical. In similar interviews, it is suggested that Packard was concerned by the rise and transmission of totalitarian ideologies via radio broadcasts in Europe. He was convinced that spoken-voice recordings—especially of poetry, theater, and classical and historical speeches— could educate not only Harvard students but the broader American public in the delivery of eloquent and persuasive speeches in support of democratic ideals and in the art of resonant, rhythmic speech . Packard believed that oratory was the key to defending democracy, and that the recitation of poetry could train students and citizens at large to become compelling and outspoken advocates on behalf of civil liberties. As a poetry-lover himself, Packard was also cognizant of the difficulties that the (then sizable) poetry-reading public faced in knowing how to read free verse. As William Carlos Williams states in a recording made at Harvard in 1951: Free verse is “difficult to get off the page…. [I]t must be heard.” That hadn’t posed as much of a problem for formal, metrical, rhyming verse. These twin impetuses—the promotion of democratic discourse and the dissemination of free-verse recordings performed by the authors themselves—were not mutually exclusive. For Packard, they formed a united purpose. And, poetry would be a crucial instrument in his civic initiative. 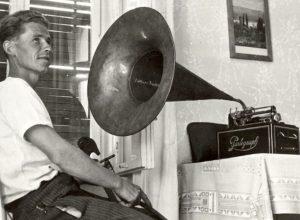 In 1928, he installed one of the university’s earliest telegraphones into his makeshift studio at Holden Chapel. 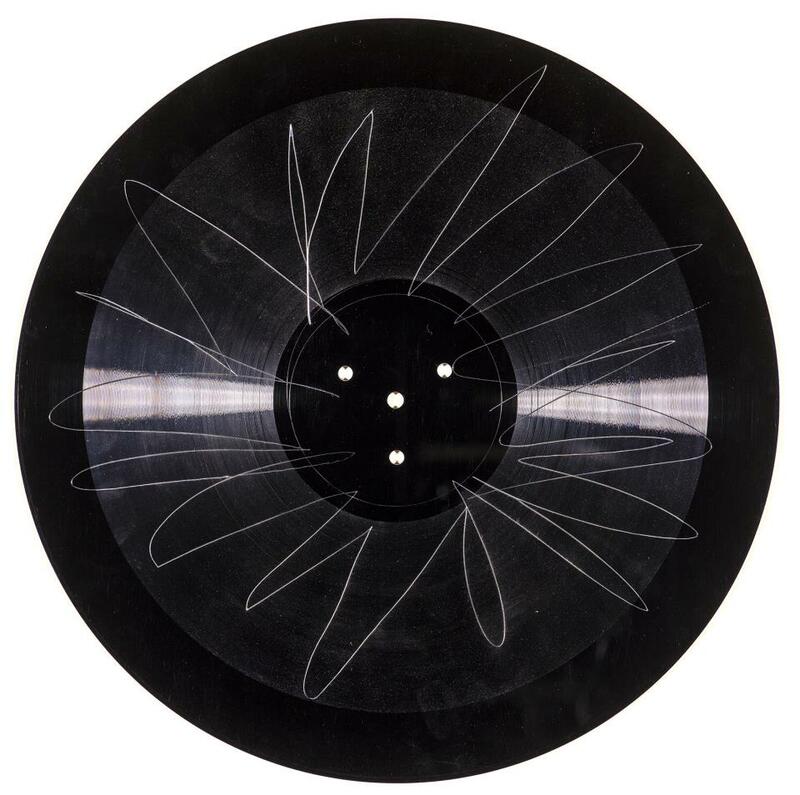 Five years later, in 1933, Packard succeeded in the first overt step of his vision, when he released a series of four Harvard Vocarium phonograph records—one of which featured the first poetry recording of T. S. Eliot. The Harvard Vocarium timeline is filled with a series of heretofore mysterious hiatuses, most of which were due to a lack of funding and resources. Library correspondence suggests that Packard shared his recording device with several different departments and faculty members. One of the most fascinating overlaps involves his equally visionary colleagues Milman Parry and Alfred Lord, whose 1933-35 ethnographic recordings in Yugoslavia helped substantiate their groundbreaking theory of oral-formulaic composition. 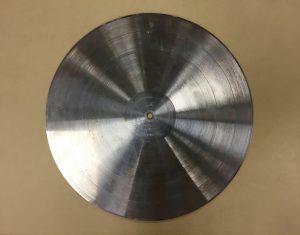 FAS Acting Dean George D. Birkhoff writes to Packard, that his “request for the repair of the voice-recording instrument used by Professor Parry last year” has been brought to his attention (Box UA III.50.8.121). If Parry and Packard did indeed utilize the same exact instrument, this would mean that Eliot’s first recording of “The Hollow Men” and “Gerontion” was made on the same Parlograph that helped confirm the hypotheses that before the Iliad and Odyssey were written down, the poems were composed orally over a period of centuries. It’s interesting to consider how early recording technology was being used to both authorize (to aggregate recordings around a single author’s voice) and to de-authorize (to prove that certain works were collective creations). The general aim of the course was “to train men in the orderly development of their ideas and in clear effective speaking of them. 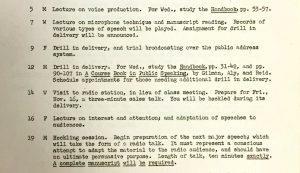 Those inexperienced in public speaking will be helped to achieve self-confidence; those more experienced will be encouraged to develop more effective leadership.” The culminating requirement of the class was a series of student recordings that were made (and played back to the students) in Packard’s recording studio at Holden Chapel. WPR curatorial materials and oral histories with Josephine Packard had long ago confirmed that countless future statesmen and public speakers took this groundbreaking English course and/or intersected with Packard’s Speech Clinic initiatives. And our trip to the HUA that day materially confirmed that two students who registered for Packard’s English Department course in “effective leadership” were Joseph P. Kennedy, Jr. (1915-1944) and John F. Kennedy, Jr. 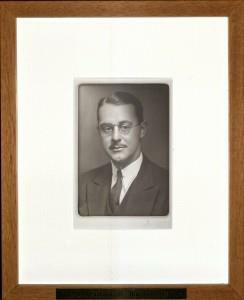 In January 1936 and, again, in April 1938, prior to his tragic death in WWII, Joseph P. Kennedy, Jr. made at least two recordings—one for Packard’s English F class and one in conjunction with Packard’s on-going Harvard-wide recording initiative, which documented and compared students’ voices in their Freshman and Senior years. The Fall 1937 student roster (also housed at the HUA) reveals that his brother, John F. Kennedy, Jr., followed suit and enrolled in English F. And, that day in 2015, with Packard’s granddaughter present, we were able to locate the recording he made for Packard’s class on September 30, 1937. In an exciting step, the Harvard University Archives recently digitized that recording, which is believed to be Kennedy’s first recorded speech. In it, the young Kennedy shows an early instinct to address complex issues: in this speech, he confronts the recent nomination of Hugo Black to the Supreme Court. Much remains to be discovered about Packard’s comprehensive and ambitious undertaking and the possible impact it had on a generation of emerging public servants, politicians, scholars, poets and writers. 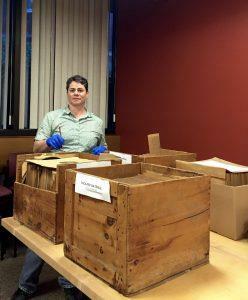 We look forward to sharing the first comprehensive Finding Aid for the WPR Packard Collection in June 2017 and to supporting collaborative research with the HUA’s Packard Collection as their own significant preservation efforts progress. One disc we discovered during the WPR Packard Collection survey features what is likely the earliest extant recording of Robert Frost, reading his iconic poem “The Road Not Taken.” Based on the sleeve annotations, we’ve been able to date the recording to 1938-1941. (In addition, a Harvard Crimson article announcing Packard’s Nov. 1938 lecture on “The Uses of the Phonograph in the Enjoyment of Poetry” states that he will be including his recordings of Eliot and Frost. From this we can further deduce that Frost was likely recorded that very year). This would suggest that the two speakers who would later converge on Inauguration Day in January 1961 had both cut their teeth, so to speak, on Packard’s 1930s Parlograph. In Oct. 1963, just a month before his assassination, J.F.K would return Frost’s “gift outright” favor and deliver a speech in celebration of “art and progress” and Robert Frost. Though further research is needed, one fact, I think, is not in question: An investment in the humanities—not in technology alone—was formative to a generation of emerging authors, civil servants, and public figures. These two roads actually converge: the arts and technology. We’ve witnessed an undeniable example of this with the emergence of the Internet. As Walter Isaacson asserts in The Innovators: How a Group of Hackers, Geniuses, and Geeks Created the Digital Revolution (2014), the digital revolution was precipitated by those “who had one foot in the Arts & Humanities and one foot in Math and Science.” He quotes Steve Jobs as saying “connecting the two was where Value was [and remains].” Research into the heyday of radio has also begun to reveal a similar literary/pedagogical/technological nexus—in which a cultural and educational investment in poetry, performance, and oratory transformed the technological means of radio into a fully actualized medium. There is no fork in this road: in its efforts to cut Arts funding, the Trump administration has shown an eagerness to impose a divergence that does not need to occur. In defunding and devaluing the Arts and Humanities, we risk losing the unforeseeable advances that can be generated and catalyzed when these creative and combinant fields are permitted to flourish and converge.